Stocks are a way for people to invest their money in companies that trade stock on the stock market. Stock investing is a common form of investing because it is an investment vehicle that most people are aware of. Even small investors with only a little bit of money to invest can get started and small amounts of stock can be bought and traded online. Review your current checking, savings and other bank accounts. Compare this to outstanding debt that you owe and determine the amount of money that have readily available to invest in the stock market. This is an important first step because the amount you can invest will help determine where and what type of stock trading account you can open. 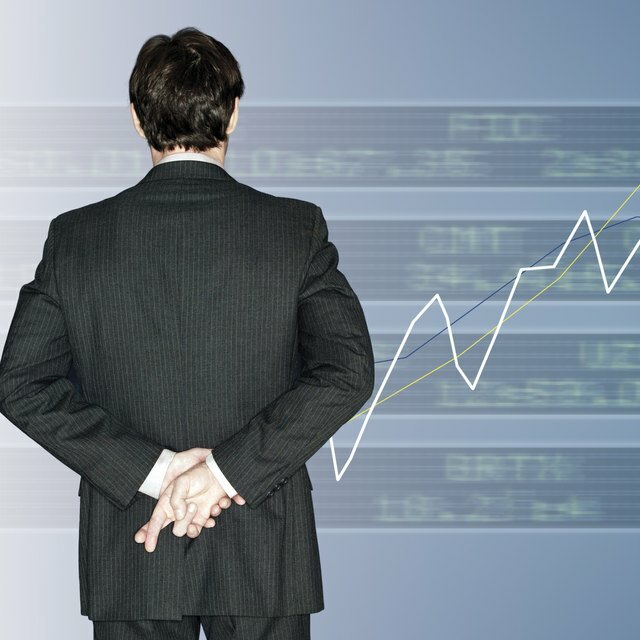 Research online stock trading accounts to determine which one will suit your own needs best. Pay attention to minimum opening deposits that they require and note trading fees and also if there are minimum per transaction requirements. For example, some online trading firms require a minimum amount to open an account, while others do not. There is also a wide range in terms of what each firm charges per transaction or trade. Make a note of all of the options and decide which one suits your needs best. How Much Money Do You Need to Open an Investment Account in the Stock Market? Can I Buy Stocks With 50 Dollars? Open an online trading account. Online trading accounts have much lower fees in comparison to using a traditional stockbroker, which is more in line with small and minimal stock purchases. As of July 2010, online trading accounts had fees for buying and selling stock as low as $4 per transaction. Some online trading accounts offer the first trades free which is also a good incentive for an investor only looking to buy a minimal amount of stock. Treat your small stock investment account the same as you would any other investment. Review your account balances at least once per month to make sure that the money you have spent on stocks is providing you with a return on your money that you are comfortable with. Continue to buy and sell stock in small amounts and fund your account with additional money when you are able to. Even those buying small amounts of stock occasionally can build a nice-sized portfolio over time. Compare prices and features of all online trading accounts to make sure that you are getting the most for your money. Never invest money that you cannot afford to lose.